It might be the simple shapes, or the great colours, but it's probably the little stags on the front that first caught my eye and made me curious about Savas bags. 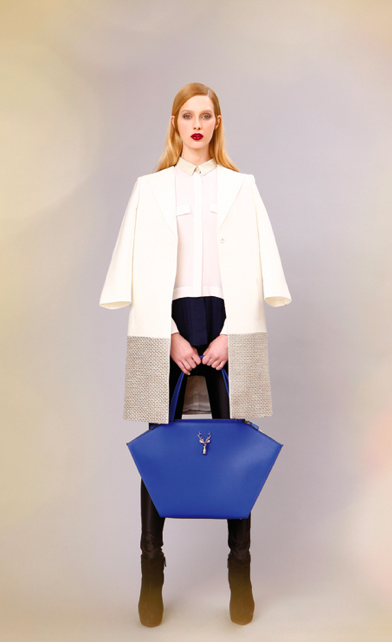 The designer, Rasmus Ringberg, is from Sweden, but the bags are made in Italy using Italian leather. His first collection was launched this Autumn/Winter. "The small sculpture of a deer in metal characterises the collection and becomes a symbol of the philosophy of this Swedish designer, whose desire is to bring together the energy and poetry of nature into a dynamic, metropolitan world." It offers a striking contrast with the simplicity of the bags, with their clean lines and unfussy details. For styles, visit savasmilano.com. The bags are available at Farfetch.